It’s always good to hear from ‘Bourn Hall Babies’ of any age, so when Ian Drake got in touch and asked if he could film an interview at Bourn Hall for his film course we tried to help. In return Ian wrote us a bit about his reasons for choosing IVF as his subject. 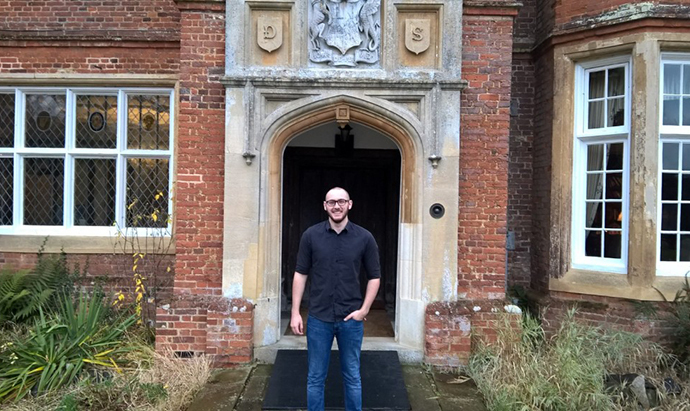 “My name is Ian Drake and 21 years ago I was born through IVF at the Bourn Hall Clinic. “I am also a third year Film and TV Production student at Anglia Ruskin University and for one of my modules this year I chose to make a short documentary about the process of IVF and how I became a test-tube baby. “I’ve always known that I was an IVF baby but the process was never truly clear to me and so the making of the documentary was as much for me personally as it was for my course. “The staff at Bourn Hall were excellent. Extremely friendly, helpful and accommodating. The information and access they provided was invaluable and while it gave my film what it needed; it also allowed me to explore my origins. You can watch Ian’s video opposite or on YouTube at this link. Test-tube baby was the term given to the world’s first IVF baby Louise Brown. Find out more about IVF here.